The 430 GSR FPX | 430 | Gas Fire Place Inserts will become the focal point of any room, with a 20% bigger fire viewing area than the majority of inserts its size. The deluxe GSR heats up to 1,500 sqft, which is ideal for heating smaller homes and living spaces. The insert comes fully loaded with ambient Accent Lights, fans and the GreenSmart™ 2 handheld remote. This unit also sports the Dancing-Fyre™ burner. 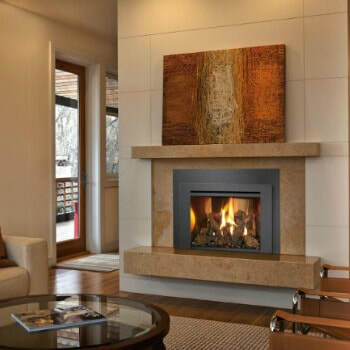 Customize the unit with your choice of firebacks and log sets. 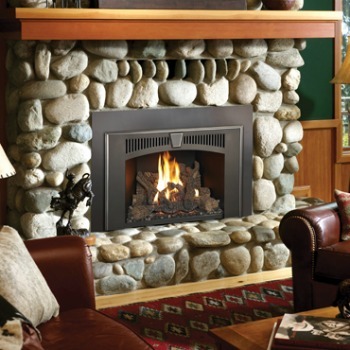 This beautiful insert captures the look of a traditional fireplace, with a large fire viewing area. ​​​​​​​​​Would you like to see more options? This unit can be used with Lopi fireplace accessories and faces. Visit the following for more great options.